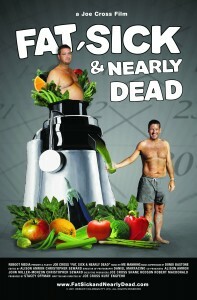 This juice was featured in the documentary “Fat, Sick, and Nearly Dead” by Joe Cross. Joe fasted on this juice for 60 days and lost 83 pounds. I followed Joe on his journey and fasted with this juice for 60 days and lost 62 pounds. I will say more about that journey in upcoming posts. The Mean Green is a surprising delicious juice that is nutritionally packed with vitamins, minerals, and protein. Yes, protein – 9 grams per serving. Enjoy this life changing juice from a life changing documentary. Thanks Joe for the Mean Green! Squeeze 1/2 lemon into container that will catch juice from juicer. Cut remaining fruit to fit juicer, then juice. Purchasing organic Kale, Celery, Apples, and Ginger. They are on the Dirty Dozen List and are high in pesticides when grown conventionally. Using the milder Lacinato (aka Tuscan or ‘Dinosaur’) Kale instead of the more bitter and more widely known Green Kale.